Sasol and Friends of the Environment Centre received the Best mobile-Government Service Award in the environment category on a regional level for their Qatar e-Nature application. The award was presented by His Highness Sheikh Mohammed bin Rashid Al-Maktoum, UAE Vice President, Prime Minister and Ruler of Dubai. Dr. Saif Al-Hajari, Chairman of the Friends of the Environment Centre, and Marjo Louw, President of Sasol Qatar accepted the award at a ceremony held on Wednesday 11 February. 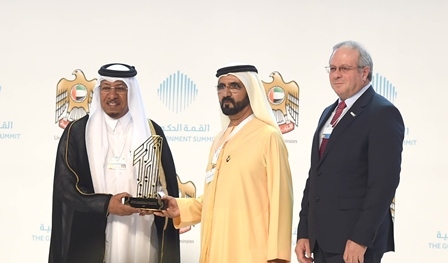 The award, presented during The Government Summit at UAE held under the theme “Shaping Future Governments”, was selected by specialists in government applications after a thorough evaluation of 411 apps with 76 entries qualifying for the final phase. Qatar e-Nature won the award in the environment category with Dewa’s smartphone app and My-ENV from Singapore winning in the UAE and international levels respectively. The m-government award aims to motivate government agencies to provide innovative solutions in the fields of smartphone applications mobile websites and SMS; it is open for UAE government entities and to governments from the Arab region and the around the world. Criteria include efficiency and effectiveness of the application, ease of use and innovation. Dr. Al-Hajari commented on the award by saying: “It’s an honour to be recognised by specialists in mobile government to receive this award for the Qatar e-Nature application. The award reinforces what we already know based on the strong demand for the application – it is a useful and go-to resource for information about the rich diversity of Qatar’s nature. We thank Sasol for its partnership in supporting this effort, contributing to greater understanding of our environment, particularly amongst children”. Launched in December 2013, the ‘Qatar e-Nature’ app is the first of its kind smartphone application highlighting plant, bird, insect, mammal and reptile life in the country. Sasol and Friends of the Environment Centre developed the app, which features content in Arabic and English. The app aims to support the objectives of Qatar National Vision 2030 to promote sustainable development by contributing towards an environmentally aware population. Sasol Qatar President, Marjo Louw, said, “The Qatar e-Nature application has been a great success story. Winning this award demonstrates the important role that the private sector can play in conjunction with the public and NGO sectors to realise projects that serve the community. Sasol is proud to have Friends of the Environment Centre as partner on this award-winning project. 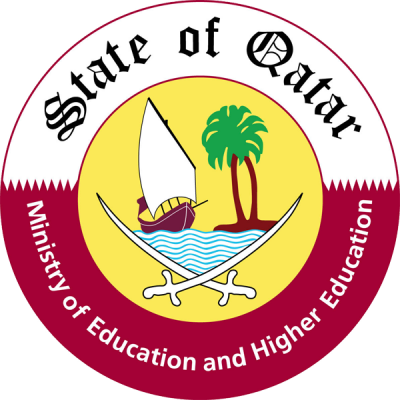 We also thank the Supreme Education Council for supporting the application and bringing nature to the fingertips of students in Qatar”. The user-friendly ‘Qatar e-Nature’ app is available for download free of charge on Apple App Store, Google Play store for Android, and Windows Phone Store. A web version of the app (www.enature.qa) is also available for desktop access, while information on the ‘Qatar e-Nature’ schools contest can be found on contest.enature.qa and on Facebook, Twitter and Instagram. The application is updated regularly, having added mammals and reptiles earlier this year. Future updates will include marine life to further benefit users of the application.